I love Halloween. There’s so much great imagery, colours and stories with which to have illustrated fun. 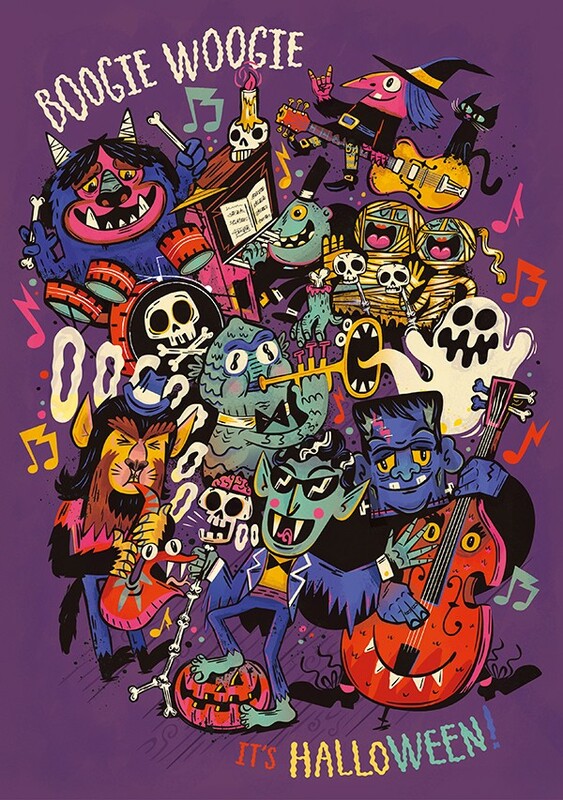 I wanted to create a portfolio piece that celebrates all the crazy characters that are associated with this holiday and felt a Halloween party band full of everyone’s favourite spooky miscreants was a great way to do this.